Mary Fons is a writer, quilter, and designer living in Chicago. In 2010, Mary created Quilty, a weekly online how-to program for beginner quilters (F+W Media) and served four years as editor and creative director of Quilty magazine. Mary is a bi-monthly columnist for Quilts, Inc. (The Quilt Scout) at Quilts.com. 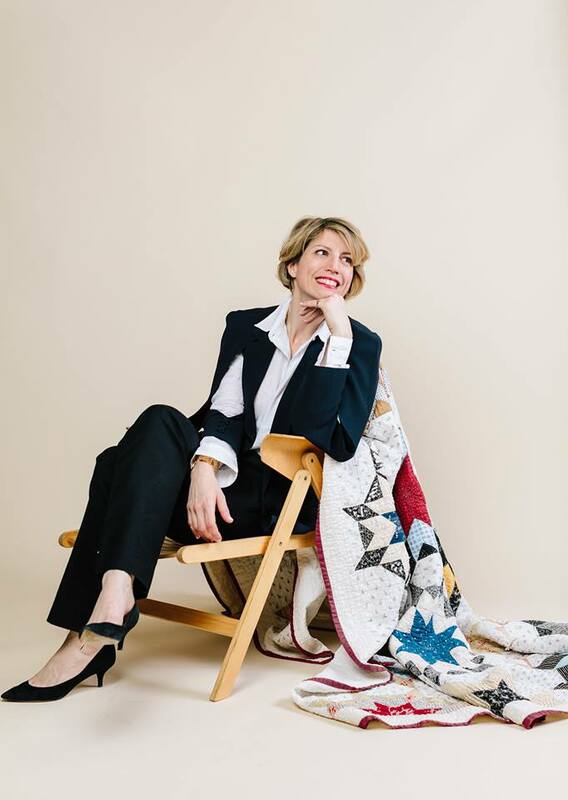 She is co-host of Love of Quilting alongside her mother, Marianne Fons. Mary’s first book, Make+Love Quilts: Scrap Quilts for the 21st Century, was released in June of 2014 (C&T/StashBooks) and Dear Quilty, a retrospective and pattern book from the pages of Quilty magazine, was released in 2015 (F+W Media). Mary lectures and teaches widely and is an enthusiastic spokesperson for BabyLock sewing and quilting machines. Small Wonders, Mary’s debut fabric line in partnership with Springs Creative, launched at International Fall Quilt Market along with a Small Wonders pattern line in association with McCall’s, exclusively for independent quilt retailers. Mary is an amateur quilt historian and enjoys learning about the history of the American quilt as much as she likes designing and making them. She currently serves on the board of the International Quilt Study Center & Museum at the University of Nebraska at Lincoln.